Why Was Carjacking, Bank Robbery Suspect Released? Questions are being raised about whether a man who committed a bank robbery, a carjacking and an attempted carjacking should have been free after an arrest earlier in the week. 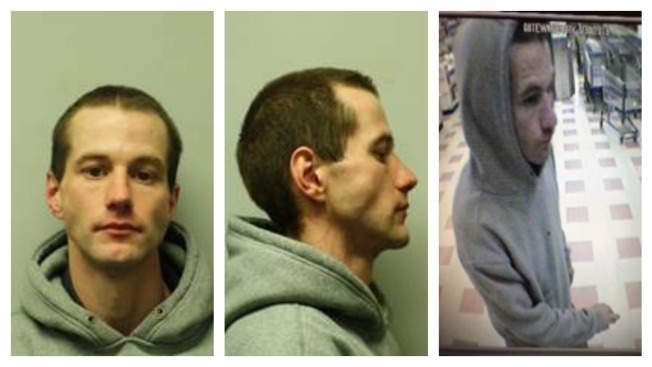 Michael Munroe, 32, of Raymond, New Hampshire, was arrested March 29 by police in Tewksbury, Massachusetts, for trying to sell heroin to undercover officers at a Wal-Mart. At the time of his arrest, the Union Leader reports that he was wanted by police in Epping, New Hampshire, on a warrant for a home invasion that occurred 10 days earlier. He also had an active warrant for a parole violation. Despite the active warrants, Munroe was released on March 30 following his arraignment on the Tewksbury drug charge and not turned over to police in New Hampshire. Later that day, police say Munroe committed a carjacking in Tewksbury, and attempted another carjacking in Reading, Massachusetts, the following day. On April 1, he robbed the Granite State Credit Union in Seabrook, New Hampshire. He was finally captued on April 2 in Hancock, New Hampshire after assaulting an officer. Tewksbury Police told the Union Leader they "don't know what happened" after Munroe was brought to court on March 30, or why he was released despite the two outstanding New Hampshire warrants. Court officials were also unable to provide any further clarification.